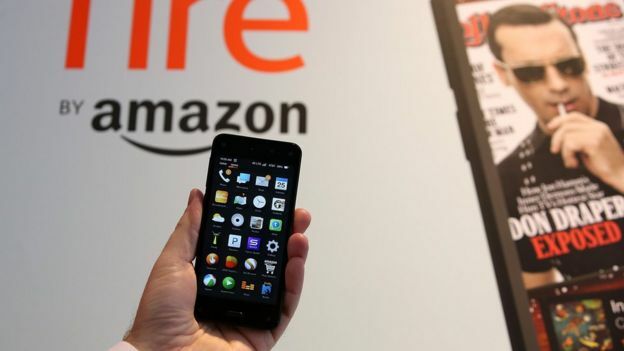 Online retailer Amazon has stopped selling its Fire smartphone, just 15 months after the handset was launched. According to its website, both the 32GB and 64GB models are “currently unavailable”, and Amazon says it has no plans to replenish its inventory. It follows reports of lay-offs at the US company, after the phone failed to resonate with consumers. Amazon has not responded to requests from the BBC for comment about its plans for the phone. 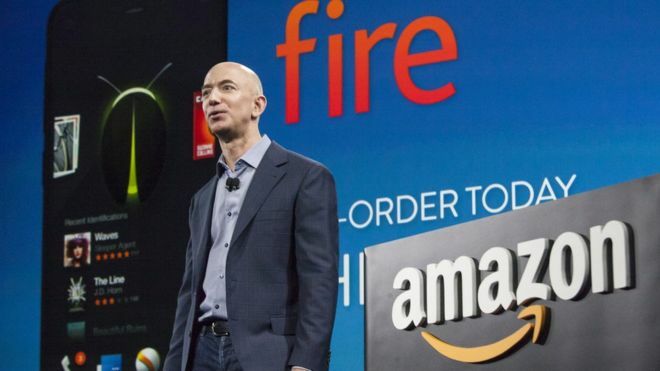 Launched with much fanfare in June 2014, the Fire Phone was Amazon’s first foray into the smartphone market. The main selling point was its “dynamic perspective” camera, which can track the user’s movements and give the impression of depth and 3D. It also includes a 24-hour customer service tool and an in-built encyclopaedia called X-Ray. But the rollout quickly faltered, as reviewers took against the phone, and Amazoncut its price drastically last September. In October 2014, the company revealed it had suffered a $170m (£110.5m) writedown “primarily related” to the gadget. And last month, the Wall Street Journal reported it had laid off “dozens” of Fire Phone engineers at its Silicon Valley research-and-development lab. Stuart Miles, editor and founder of technology news website Pocket-lint, said he was not surprised by the decision to pull the phone. “The phone industry is incredibly competitive, and it’s very foolhardy for any company to believe you can come in on your first product and make a difference. “Amazon obviously believed it could launch something, which unfortunately didn’t gain any excitement. Amazon is still selling its tablets, such as the Kindle and Fire. On Tuesday, the Wall Street Journal reported Amazon planned to launch a cut-price $50 (£33) tablet this Christmas, along with new tablets with 8in (20cm) and 10in screens.